1. 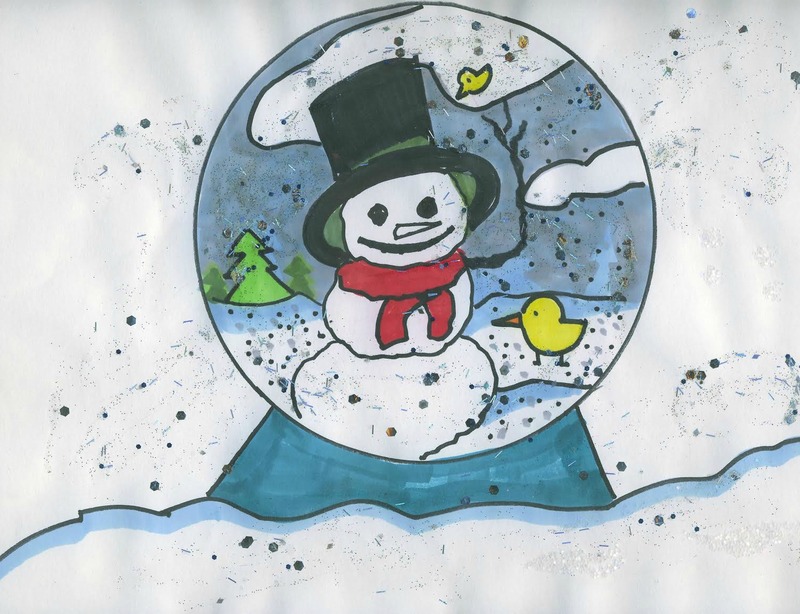 Draw a large circle on your paper – this is your snow globe! (Tip: For younger kids, find something around the house they can trace to make the circle easier.) Then add the base to your snow globe by making a line that follows along close the bottom of the circle, but never touches it. Connect it to your snow globe on the sides with small curved lines. Repeat these steps underneath the first part to make a taller base. 2. Start your snowman (or snow-woman!) in the center of the circle, with two curved lines on the right and one shorter curved line on the left. If this part is hard for younger kids, they can draw a snowman out of circles instead. 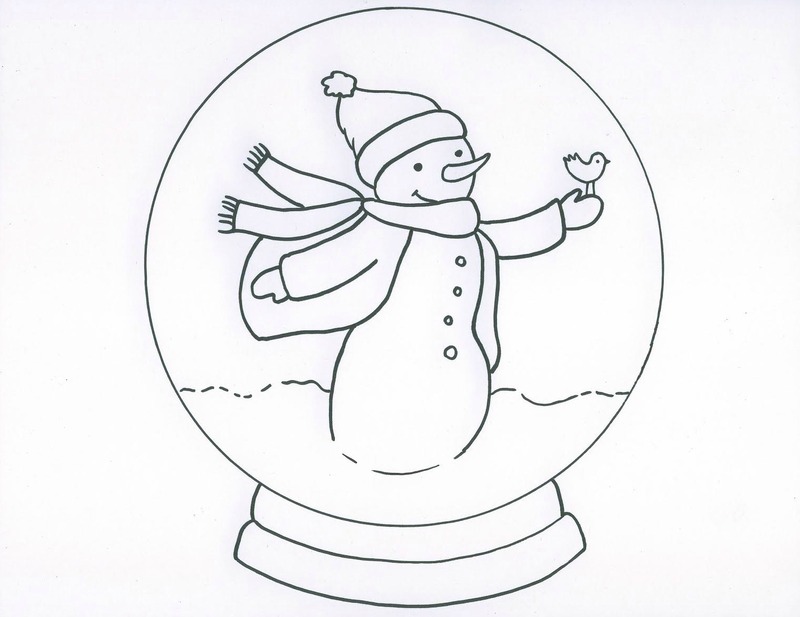 Older kids can use an implied line to connect across the bottom of the snowman – implied lines are great for fluffy light things like snow, since they just hint at a line by drawing softly and lightly (almost like a dotted line). 3. 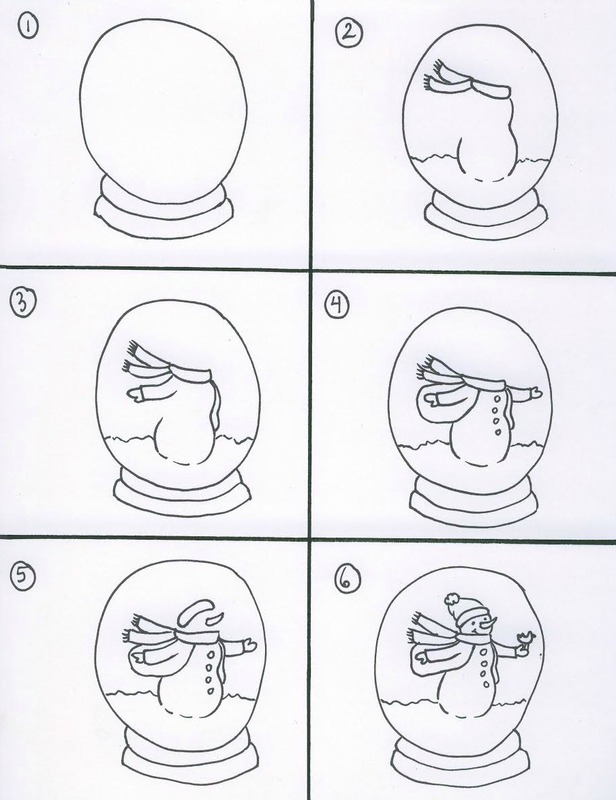 Add the scarf at the top, making sure to stretch all the way from one side of the snowman to the other (you can trace with your finger to see where the left side will be). 4. Make sure to start with details that are in front. On the left side, draw the arm and mitten first, just below the ends of the scarf. On the right side, start with the sweater close along the body instead. After these steps are done, it’s easy to add the right arm and mitten, and the sweater under the left arm. If you want buttons on your snowman, draw some circles on the front, where there’s no sweater. 5. Use curved lines to draw the carrot nose, off to the right, and then the base of the hat – try to make it slant down toward the scarf on the left. Then you can fill in the rest of the hat and sides of the face. Use black dots for the eyes, and two curved lines for a smile peaking out of the scarf! Kids can come up with their own kind of hat, add something in the snowman’s hand, or put any other creative details they want in the background. 6. 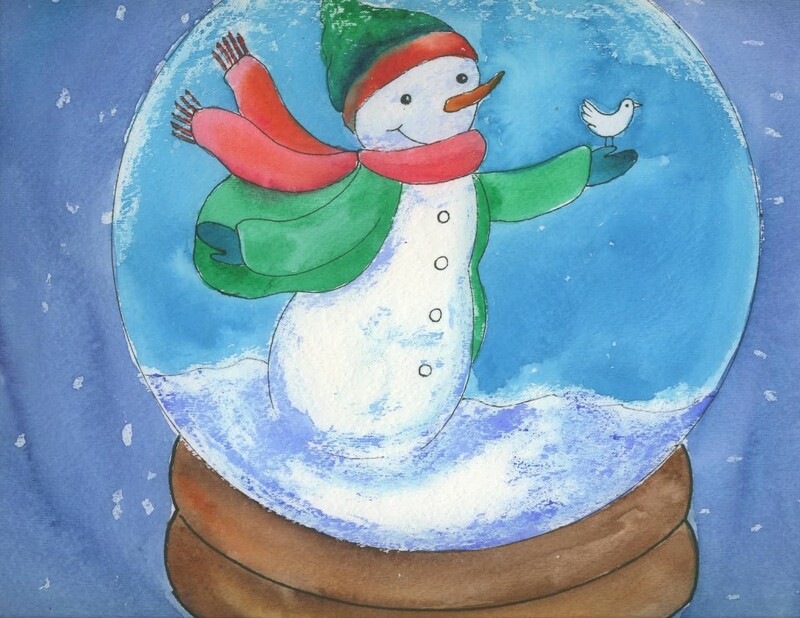 Add white oil pastel for all the snowy parts – you can make falling snowflakes too! Press hard so it goes on nice and thick. 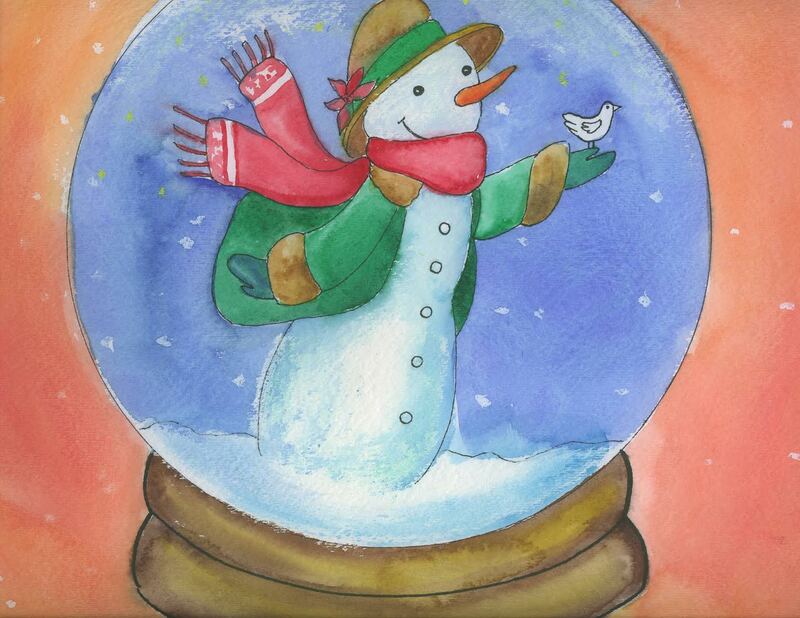 Then use watercolor paints to fill in all the rest of your colors, decorating your snowman’s clothes and the background. Don’t worry about painting around your white parts – you can paint right over the snow and see the oil pastel pop through the watercolor! This entry was posted in Art at Home by Theresa Harris. Bookmark the permalink.